Kaltura is fully integrated with Blackboard Learning Management System and provides a efficient and useful way to create, manage and distribute your media (audio and video) content in Blackboard.  VERY IMPORTANT: Using Kaltura CaptureSpace requires a machine with a minimum of 4 GB of RAM. The Screen recording option is commonly used when a user has a PowerPoint presentation they need to post online. Using the screen recording tool they can open their PowerPoint and record themselves talking while they go through their presentation. 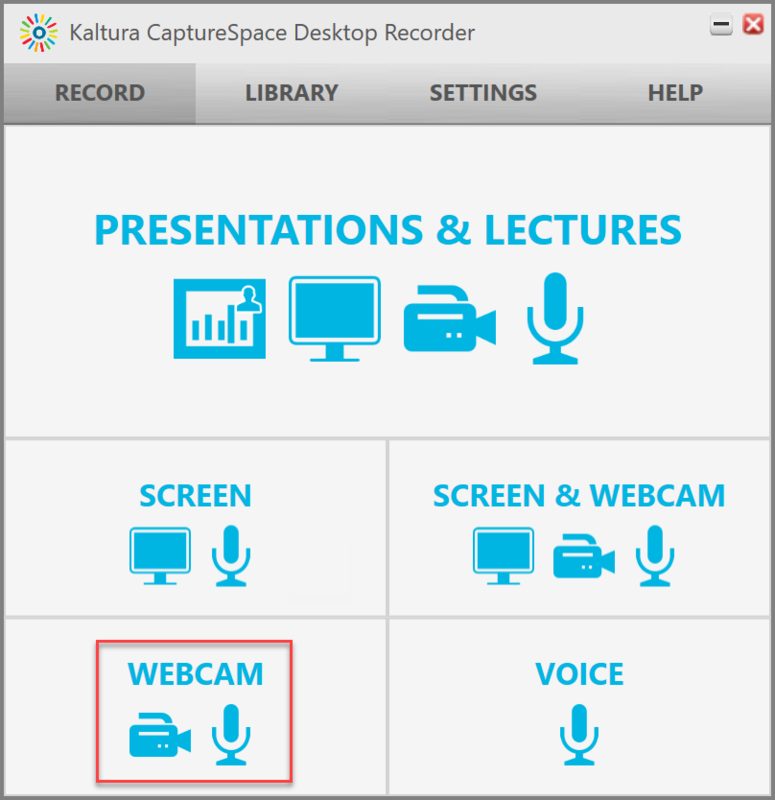 Users can open their PowerPoint then choose whether Kaltura should record the whole screen or a part. If you choose only part you will be asked to select the area of the screen you would like to record. This is especially useful if you have notes on your computer that you would like to use while presenting. Click on the Add New drop down button and select CaptureSpace. Select the screen or screens to capture. Select either to capture the Full Screen or a Select Area. You will have the options Draw, Pause or Resume the Recording, Finish, or Cancel any time during a recording that includes the screen. These options can be seen by holding Alt + P or Alt + D or you can pull up the whole options bar be clicking on the Kaltura icon in your Dock. Once you are done recording, you can edit your recording by trimming the beginning or end, edit out (chop) a piece in the middle, or by adding title and credits. 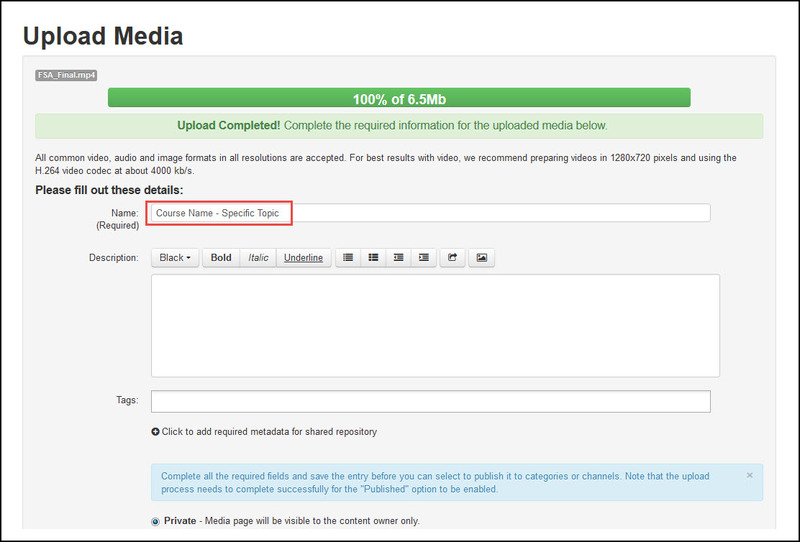 When the recording is ready, click Upload to upload your recording to MediaSpace or your LMS (Blackboard). You can find your recording under My Media. More information about using each of these recording types can be found in the Kaltura Capturespace knowledge-base. In Blackboard, go to desired item where you want to insert your screen recording. Go to item and select Edit. In the text box select Mashups then select Kaltura Media. Choose Select next to your desired video. 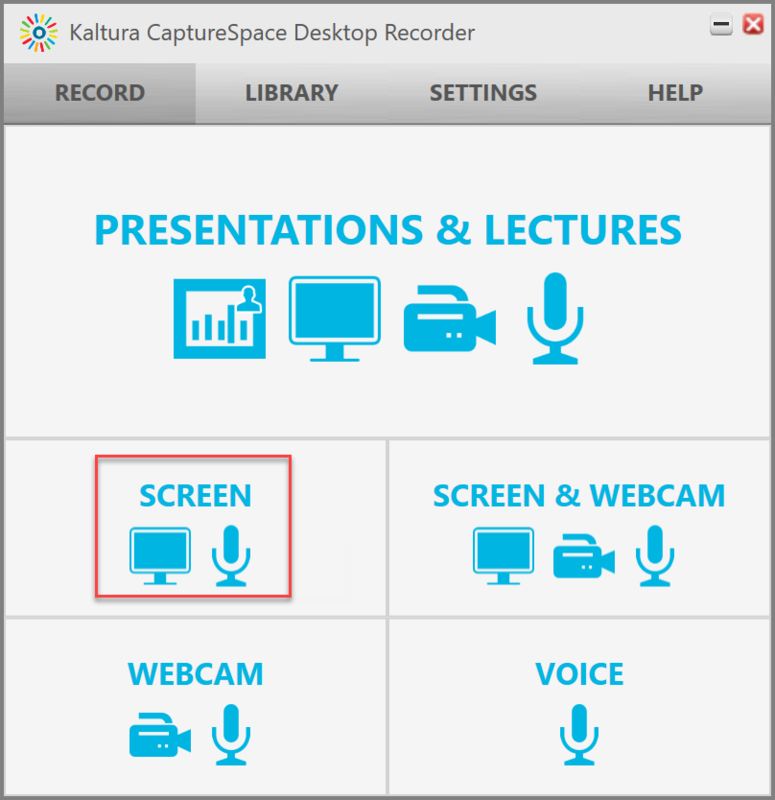 You can also use the screen capture tool Screencast-O-Matic, and then upload the video to Kaltura. 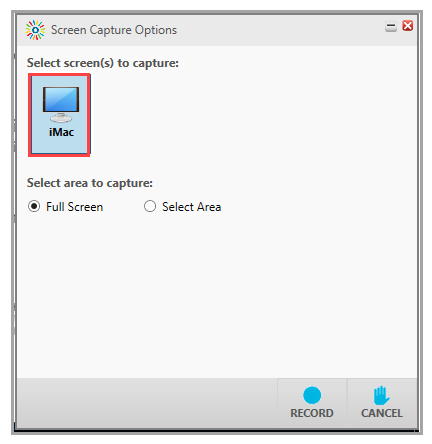 Click here to use Screencast-O-Matic and see tutorials. 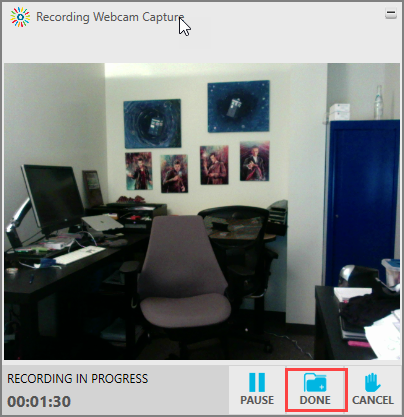 The recording will start automatically after 5 seconds and continue until you click Done. Select Choose file to upload and select the media file. Enter a name and description for the new media. Select Save. Select Back to get back to My Media and select your newly added media. Review the settings, and select Submit. If you have problems with using Kaltura, review the Kaltura Best Practices page, which includes troubleshooting information. In you Blackboard course, go to desired item where you want to insert your media. 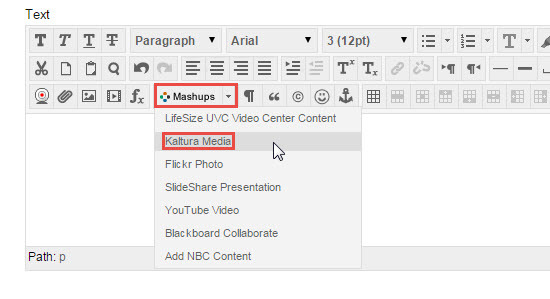 In the Blackboard Editor text box select Mashups then select Kaltura Media. Choose Select next to your desired media.